Unfortunately, serious and fatal ridesharing accidents have become alarmingly common across the nation, raising issues of liability and consumer rights to fair compensation. While many praise Uber and Lyft rideshare services for their convenience and affordability, what damages are injured passengers entitled to? And what happens when an Uber or Lyft driver hits a pedestrian, bicyclist or other vehicle? Louisiana Lyft accident lawyer Bart Bernard can assist those who have been harmed in ridesharing crashes. 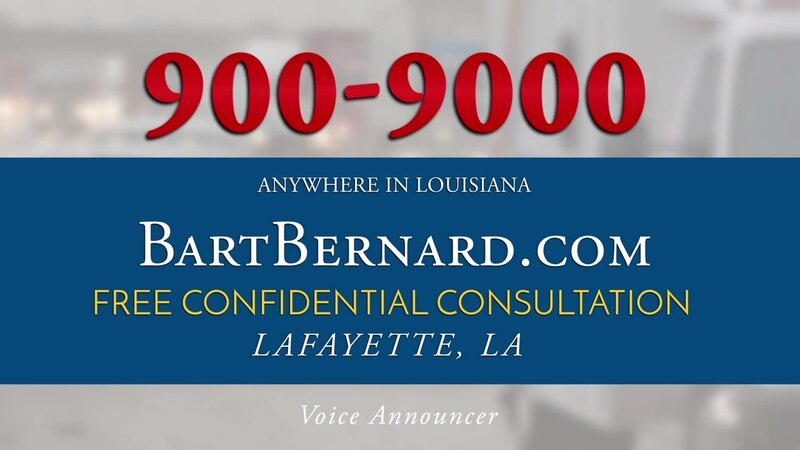 Serving Lafayette and Baton Rouge residents for over two decades, Bart Bernard is a seasoned litigator of commercial vehicle accidents, and has prevailed in numerous complex cases. No personal injury practice is more qualified than Bart Bernard to handle your ridesharing accident claim. A member of the Multi-Million Dollar Advocates Forum, Bart has the resources and skill to maximize the value of your case – ensuring you have the financial means to recover and move on with your life. Ridesharing services like Lyft, Uber and Sidecar are becoming increasingly common among smart phone users. Many people find these carpooling apps make the most of social networking and navigational technology, matching riders with legions of available drivers at the push of a button. With a single tap of the finger, people can request a ride in virtually any city and pay through their cell phone. In the context of on-demand individual transportation, ridesharing apps have severely crippled the taxi industry in larger cities. They have also sparked controversy regarding safety and legal issues. Unlike taxi drivers, who are thoroughly vetted, screened and trained, Uber, Lyft and Sidecar drivers are mostly amateurs who lack considerable experience in the commercial driving business. Though several companies perform background checks on potential hires, the lion’s share of ridesharing drivers have no professional training, and maintain a standard driver’s license. Unfortunately, dozens of Uber and Lyft accidents have been traced back to distracted driving, texting and other forms of negligence. To make matters more complicated, ridesharing companies consider their drivers to be “independent contractors,” in an effort to avoid liability in accident claims. Despite this fact, victims can still pursue a claim with the guidance of a qualified Uber accident lawyer. Louisiana attorney Bart Bernard is an aggressive advocate, and will fight for maximum damages to account for medical expenses, lost income, reduced earning capacity, pain and emotional suffering. A rideshare accident lawsuit can also demand money for funeral and burial expenses, and loss of companionship and support when a loved one is lost. Both Lyft and Uber have a $1 million insurance policy that offers liability protection to passengers as long as they are actively signed in to their apps when the incident occurs. If you are a third party, such as a pedestrian, motorcyclist or other motorist who is injured by an at-fault ridesharing driver, you should also be able to file a claim under the Uber or Lyft insurance policy. However, history has shown that Uber does not readily accept responsibility for driver behavior in crashes, because they are not employees, but rather independent contractors. Ongoing litigation against the billion-dollar ridesharing venture has resulted in at least one settlement, reached for a confidential sum, just days before the trial. According to a recent Uber lawsuit filed by a Dallas woman who was rendered quadriplegic after a rollover accident, the company negligently hired a driver with a criminal record, and failed to note that the man was using a friend’s uninsured vehicle. Plaintiff Sarah Milburn was looking forward to graduating from college, when a routine car ride turned to tragedy. The Uber driver allegedly ran a red light before his Honda flipped over, altering Milburn’s life forever. In the wake of any type of car accident in Louisiana, victims generally have from one year of the date of injury to file a lawsuit in court. This statute of limitations also applies to wrongful death claims as well. If you or a loved one was injured in a Lyft, Sidecar or Uber accident, it’s important to protect your legal rights with the help of a veteran attorney. Bart Bernard is well-versed in accident claims involving ridesharing services and ensures that his clients recover appropriate compensation through insurance settlements. To discuss your case free of charge and without obligation, we invite you to call today.